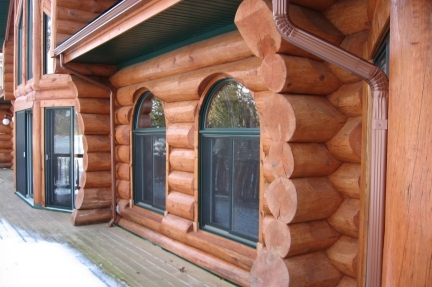 The Scandinavian inspired round log method is a popular method used by some craftsmen wanting to get the most stylized result. 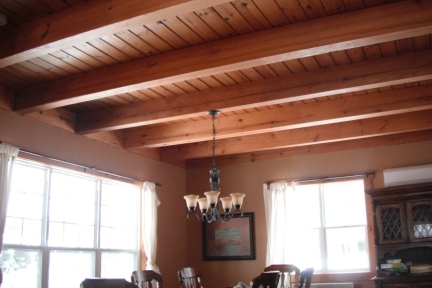 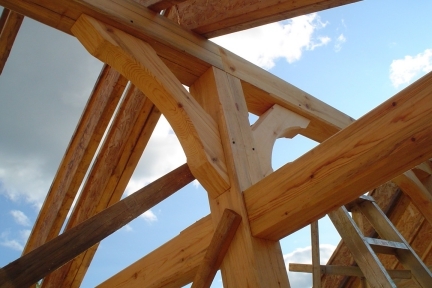 Timber Framing (also called post and beam) is a method of timber construction that relies on the timber frame as the primary structural support for the building. 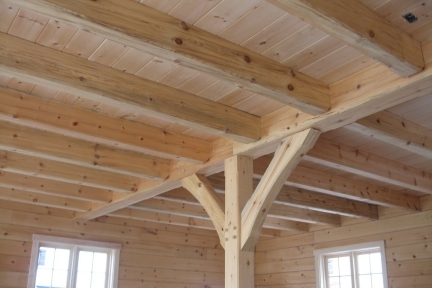 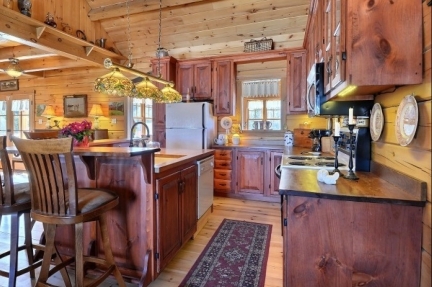 The custom milled timber technique uses machined lumber, red or white pine with a precise and quality cut. 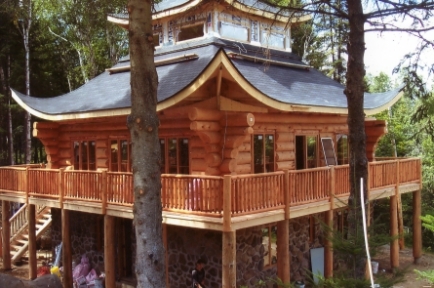 We do more than building log and timber homes! 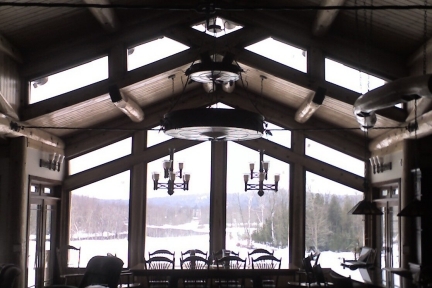 Most of our clients come to us with plans and ideas that we then craft into reality creating their own unique living space. 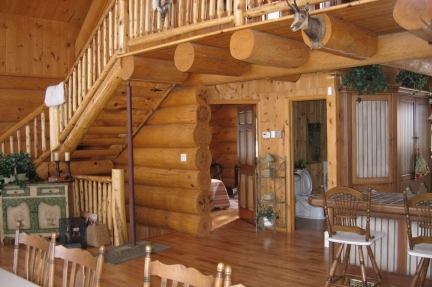 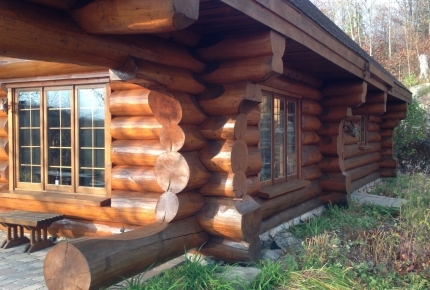 Our attention to detail makes us a key player in the log construction industry. 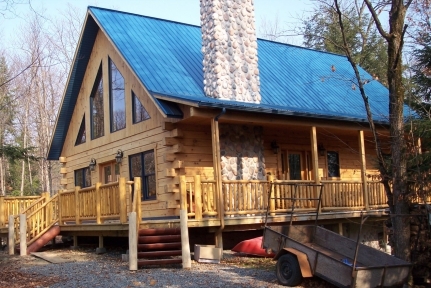 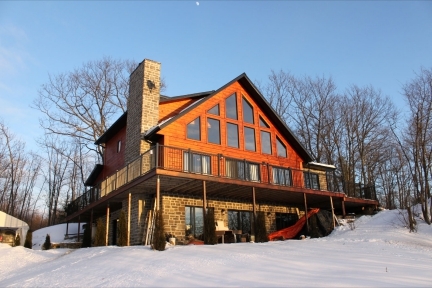 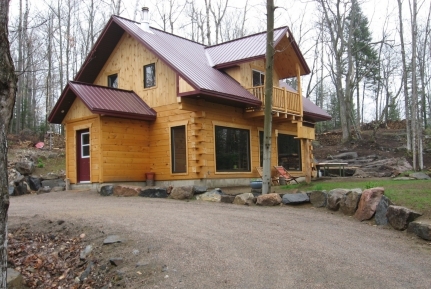 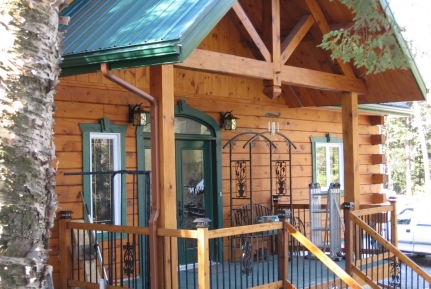 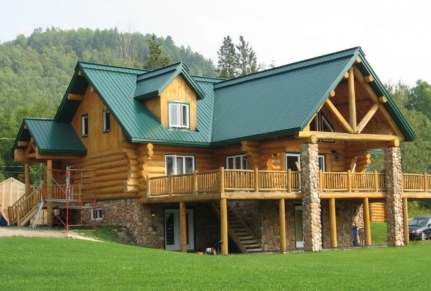 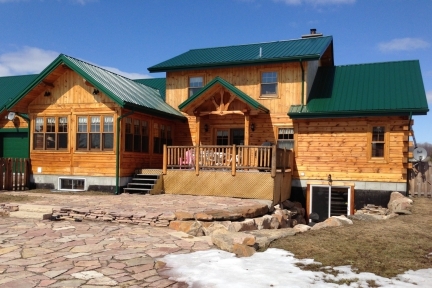 At Americana we aim for our clients full satisfaction when it comes to building a log or timber home to fit the highest expectations in terms of quality, comfort and craftmanship. 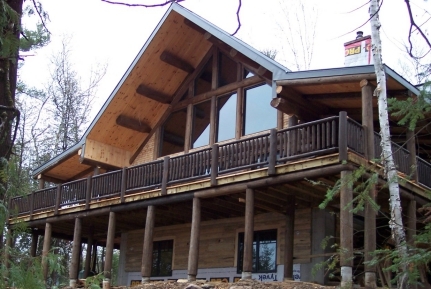 We are committed to respecting our deadlines as well as building restrictions without compromising the quality of our work. 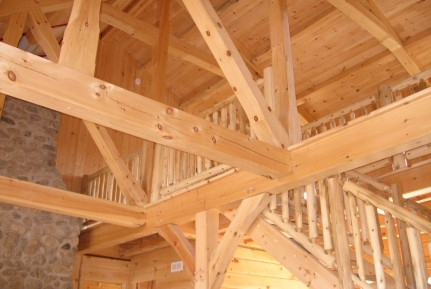 Our red and white pine logs and timber are selected to allow us to ensure exceptional quality and deliver a product like no other. 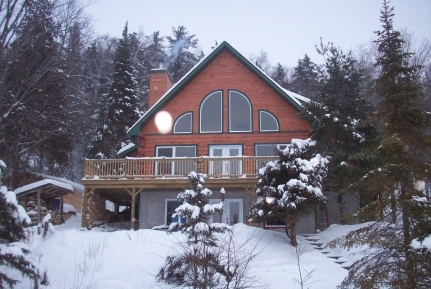 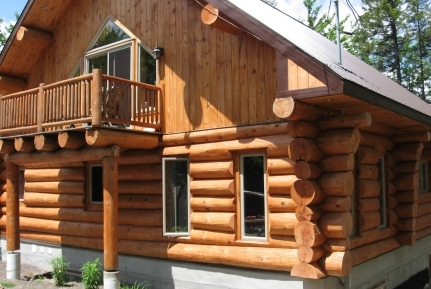 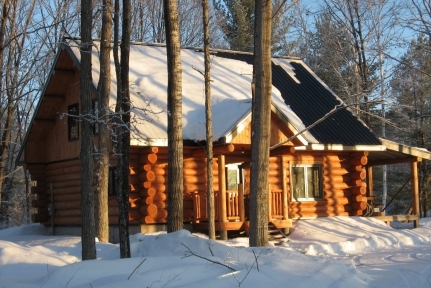 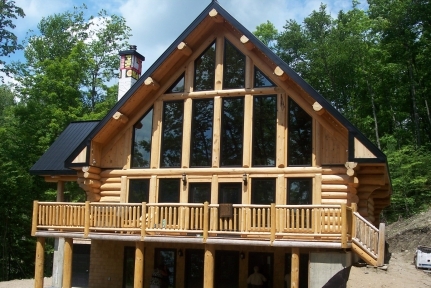 Americana Log and Timber Homes is a proud member of the ILBA (International Log Builders’ Association) and is a licensed contractor with the RBQ (Régie du Bâtiment du Québec). 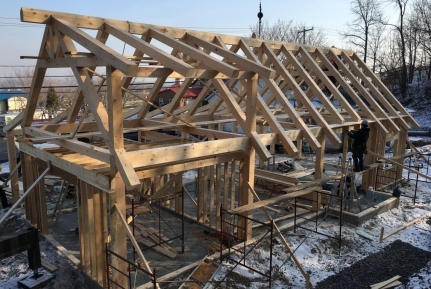 We are always willing to take on the most ambitious challenges and to show finess on a professional level with the Americana team. 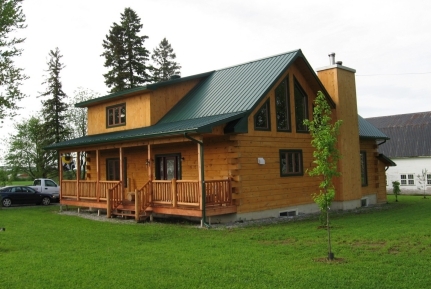 Our trustworthy architechs will share with you their keen sense of design creating the most wonderful plans and styles on the market.